LET’S GET ‘BEST PRACTICE’ FOR VETS WORKING FOR MISSING PETS! 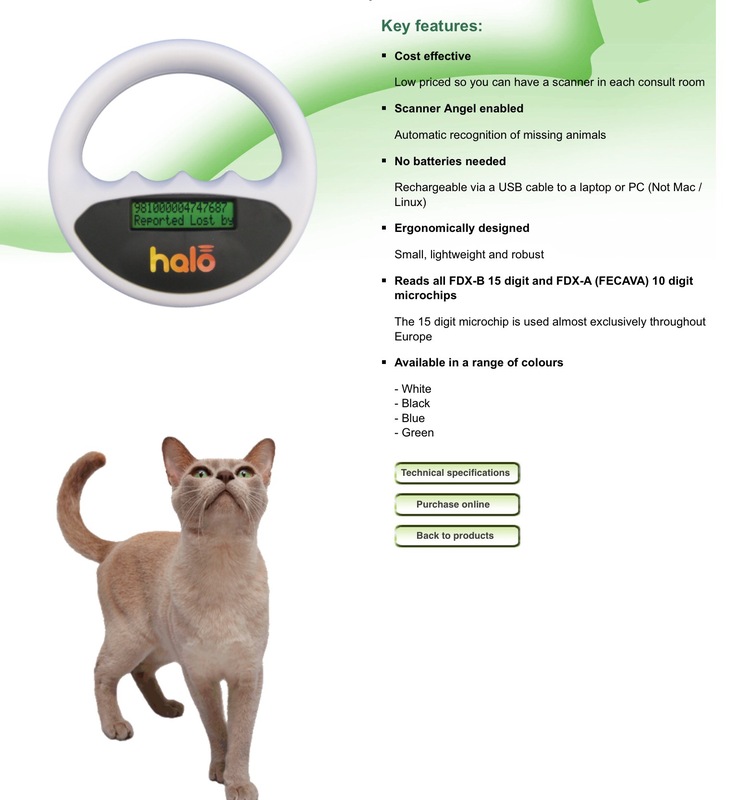 We microchip our pets in case they are lost or, even worse, stolen. Did you know that Veterinary surgeons are not obliged to scan a dog or cat for a microchip except before a rabies vaccination, the issue of a Pet Passport or for completing official documentation that requires identification of the animal? Many missing pets that have been kept as strays or have been sold on can be lost forever if the veterinary powers (BVA, RCVS and BSAVA) continue to only recommend as ‘best practice’ that vets scan and check registration on first presentation. Vets set their own practice policies and can ignore recommendations and we need you to contact your own vet to help raise awareness and hopefully prick their consciences. Below is a template letter for you to personalise and change as you see fit. If you have a missing pet please mention this in your letter. We are sure that your vet will have a contact email address if that is easier for you to communicate with them, please check their web page. Please let us know what you’re vet says, thank you. I have been a client of yours for many years and I am contacting you as I have just found out that not all vets scan and check microchip registration on new registering pets. Cats are notorious for straying, dog theft has increased by 24% in the last 3 years and an estimated 60 dogs are disappearing weekly, (information on web pages below), I was wondering what your practice policy is on this matter? I have been under the impression that scanning and checking microchip data would be a standard procedure for vets nationally, (especially as it is now compulsory to microchip all dogs). 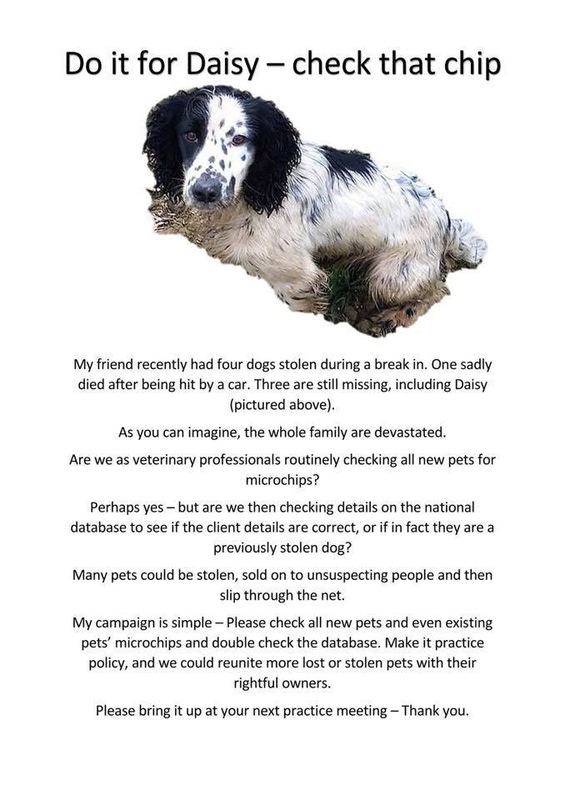 I thought that if my dog or cat went missing and was presented to a vet by another owner it would be routinely scanned and cross-checked to make sure pet and owner match. It absolutely terrifies me and completely defeats the reason why I microchipped my pet if no checks are made. This also highlights the problem of dogs and cats that are already registered at your practice and have never been cross-checked! 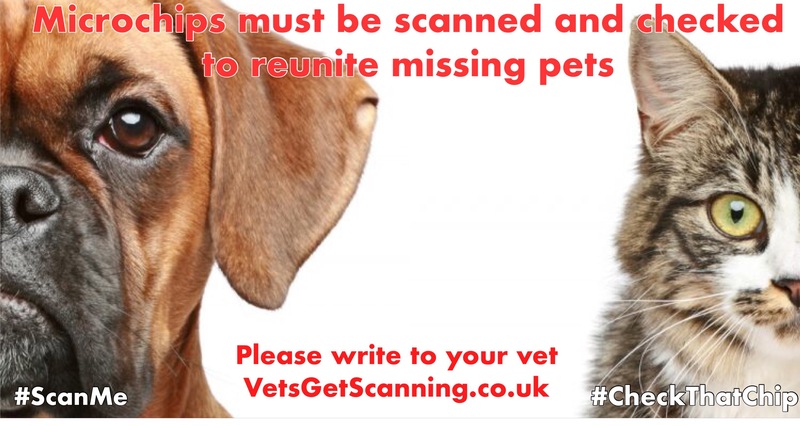 Web pages that have more information for you are VetsGetScanning.co.uk and StolenAndMissingPetsAlliance.co.uk. I hope you can understand my concern and I look forward to receiving your reply. Vets argue time restraints and not wanting to get involved in ownership disputes as reasons for not scanning and checking microchips, we hope the information and the concern of pet owners up and down the country will help them to reconsider their stance.